There is no film more important to animation. 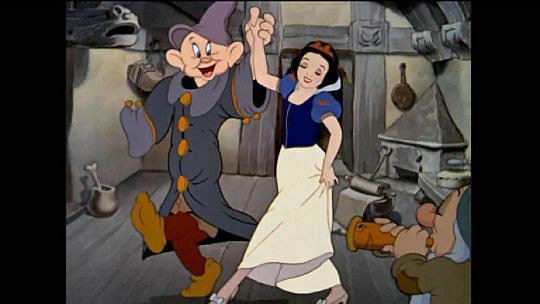 As the first-ever full-length animated film, 1937’s Snow White and the Seven Dwarfs was a beautiful pioneer toward a game-changing era for the Walt Disney Studios, the animation industry, and even art itself. The film is a genuine product of the golden age of Hollywood, one whose artists were still getting the hang of what this medium could do and who experimented with bold, new ways to engage audiences. 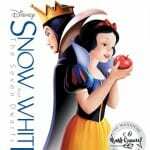 In a mixed release that still by all means impresses, Snow White now arrives as the first volume in the new Walt Disney Signature Collection in a combo pack featuring Blu-ray, DVD, and a digital HD download. As historian Brian Sibley points out elsewhere on the disc, Snow White and the Seven Dwarfs is the “cornerstone” upon which everything else in the Disney empire rests. Walt risked everything in his grand ambition to create a masterpiece and while we all now know the payoff was worth it it didn’t seem that way during production. As such, there is acute, evident attention paid to crafting a final product that is near perfection. From the dwarfs’ personalities, to Snow White’s aura, to the mirage of special effects at use in the more elaborate sequences, to the songwriting… How can you not bob your head up and down when the dwarfs sing “Heigh-Ho”? 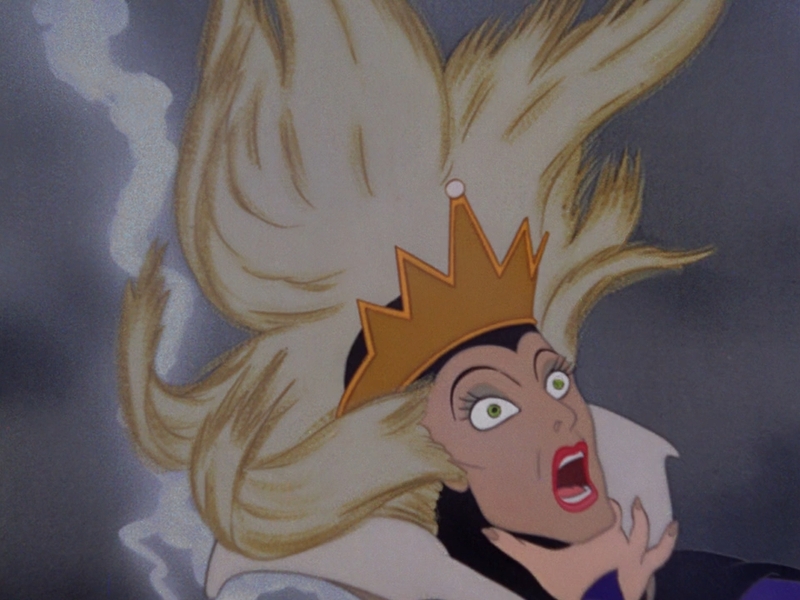 How can you not empathize with Snow White as she runs for her life in a terrifying forest? How can you not become stoic when the dwarfs are emotional, thinking Snow White to be dead in her glass coffin? In the plight of poor Snow as she seeks refuge from the Evil Queen in the cottage of Doc, Grumpy, Happy, Bashful, Sleepy, Sneezy, and Dopey, the audience is taken on a journey of cinematic history. This journey is one that engages and delights. It’s a story that many take for granted. Most do not realize the true weight that was at hand in this project’s creation, but in its supplemental features we gather a rather complete understanding. There is no denying Snow White is a fantastic movie. It would indeed be quite difficult to find anyone who would not regard the film with high praise. The question for this release, then, is not whether the film is worth purchasing (it is), but rather: in what capacity does the consumer already own it? With a film as respected and important as Snow White, Disney spared no expense over the years in providing a thorough home video experience each time the film released. It’s been so thorough, in fact, that this Walt Disney Signature Collection seems to grasp at straws with its new content to find new things to talk about. The material developed for this new release is entertaining enough, but the real treasures of the set are extras carried over from past editions. For the most part, the new bonuses on this disc take the stance of celebrating Snow White and flaunting its legacy with excessively positive adjectives. This isn’t necessarily a bad thing (the movie is exceptional, after all), but it does feel a bit self-congratulatory. Four of the primary new extras all take this stance, but from different perspectives: “Iconography” from modern artists in their field, “@DisneyAnimation: Designing Disney’s First Princess” from Disney animators, “The Fairest Facts of Them All” from Disney Channel star Sofia Carson, and “Snow White in 70 Seconds” from a tween rapper who I could not handle listening to for longer than 15 seconds. With the exception of the last one all of these are not horrible and have their moments, but do little to truly increase our understanding of the making of the film. None of the new material includes anything longer than 8 minutes (most being shorter than that), with many of them feeling a lot like promotional YouTube videos rather than selling points of a Blu-ray. Thankfully, though, there’s a lot more to see. An abundance of recycled bonus features from previous Snow White releases are the real meat of the set. Sure, there’s the standard Making-Of featurette (which itself is a solid half-hour), but that’s not even the best thing here. Far more interesting and at a superior production quality is a Hyperion Studio Tour and a series of Story Meeting recordings. Here, we get more than the typical, predictable, cookie-cutter DVD extra attempting to take us backstage. Instead, we get a 360-degree perspective of the culture of the Disney Studio at the time of Snow White‘s creation and what it must have been like to work there. This includes everything from pranks animators pulled on each other, outdoor games played during lunch, and even revelations about the gender inequality shown toward female ink-and-painters. It’s surprising but appreciated that there is no attempt to gloss over or remove the negative aspects of the behind-the-scenes story, as is so often the case. The Hyperion features are truly impressive, and are all the more sweeter with special appearances by Ron Clements, John Musker, Andrew Stanton, and Eric Goldberg. Next, Disney veteran Don Hahn is our host for a series of incredibly insightful vignettes filmed at the Disney Animation Research Library. In Snow White Returns, he shares rediscovered storyboards that imply a sequel short to Snow White was amazingly in the works, but was never produced. In “Decoding the Exposure Sheet,” Hahn walks us through some of the technology and math (yes, math!) involved in the animation process. Both of these extras are very fascinating, and are made even more enjoyable by Hahn’s obvious passion for animation. Rounding out the disc are two deleted scenes, a quick look at the film’s voice talent (including an unexpected and terrific archived interview with Adriana Caselotti, voice of Snow White), and an audio commentary (spotlighting remarks from Walt Disney narrated by historian John Canemaker, who, most of the time, is clearly reading from a script, which makes for an overall dull commentary). The most prominent supplement from previous Snow White releases that’s missing is “Disney Through the Decades,” a walk through Disney history narrated by celebrities with connections to the company. It was sugar-coated (claiming Atlantis was a “hit,” is just one example) and terribly listy, but it was still interesting. My guess for its expulsion on this new edition is that the studio did not want to update it to be current. After all, no one can pretend this featurette takes place in the present while it includes three narrators (Roy Disney, Dean Jones, and Fess Parker) who unfortunately passed away since its last update. 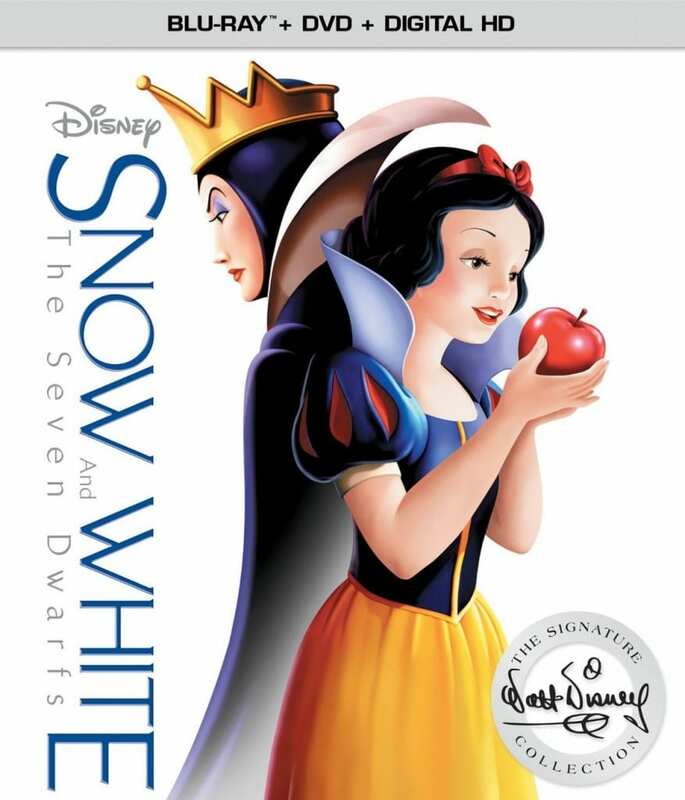 Snow White is the premiere volume of the Walt Disney Signature Collection. While little has been announced about the long-term direction of this new series, we can expect it to follow the similar tradition of the Diamond Editions before it and the Platinum Editions before them: the release of what are considered to be the greatest films from Walt Disney Animation Studios, given elite bonus material treatment with a new installment twice each year. The main menu and packaging for the Snow White Blu-ray is a clear, simple design that makes optimal use of white space. The menu features strokes from a thick paintbrush acting as a background screen onto which scenes from the movie are projected. I would assume this format will remain the same going forward for future entries into the Signature Collection. Other than that, there is no clear defining factor that separates this new line from past iterations. It seems to be essentially Diamond 2.0 (which, in itself, was Platinum 2.0), though that’s not necessarily a bad thing. There is no indication in Snow White‘s packaging or sneak peeks as to what the second Signature Collection title will be. However, given that Pinocchio was surprisingly snubbed from the Diamond line, I’d guess that the Signatures will follow in chronological order, with Pinocchio up next (though this is purely speculation). This is a precarious set, and honestly not a strong first impression for the new Walt Disney Signature Collection. Most of the new bonus features add little value, with the best parts of the release being extras that many viewers already own. The decision to purchase, then, lies not in the merit of the content, but depends on the specific case of each individual consumer. 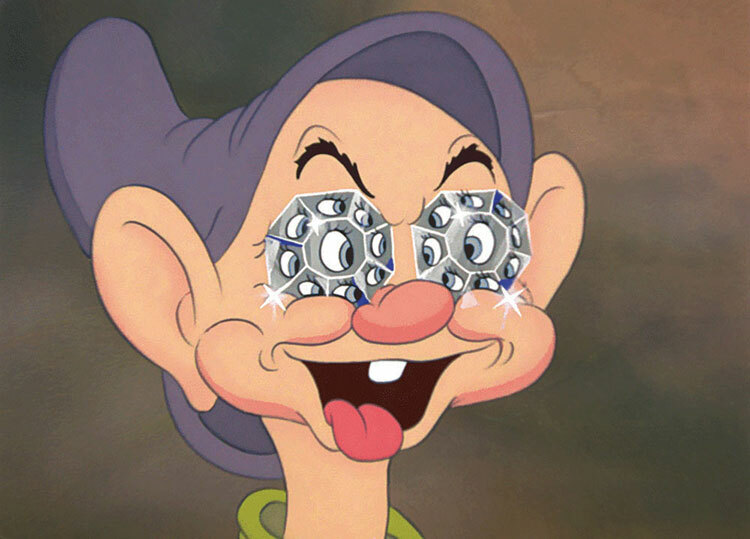 Do you own Snow White and the Seven Dwarfs? If the answer is no, then this set is an excellent buy and provides tremendous insight behind one of the most beloved and best animated films of all time. If you do already own the film, I would say there are three possible reasons for an upgrade: 1.) owning the film digitally, which this set offers for the very first time, 2.) the inclusion of the rediscovered Oswald short, and 3.) wanting to have a complete set for the Walt Disney Signature Collection. If any of those three reasons is important to you, then this set is worth it. If not, as much as I’d like to say otherwise, the rest of the new bonus features are not enough to merit a re-buy. However, if the version you own is anything earlier than the 2009 Diamond Edition (like it was for me), almost everything here will be completely new to you and is a delight to experience. This is a truly great film, and the impetus for an empire of Disney moviemaking. To relive its magic is to step back in time and soak in the beginning of something world-changing. 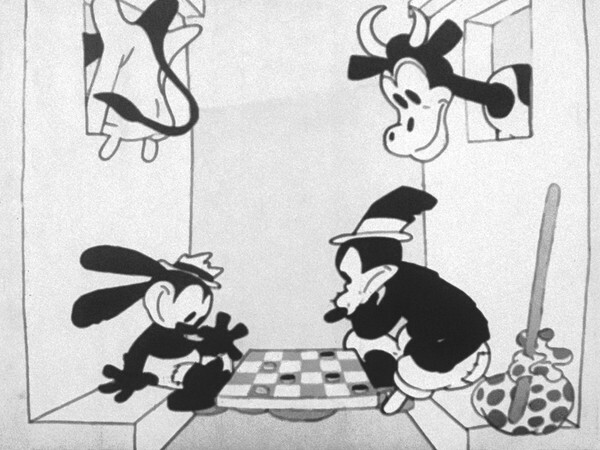 To learn more about Hungry Hobos and Oswald the Lucky Rabbit, check out our interview with historian David Gerstein. What do you think of this Snow White release and the new Walt Disney Signature Collection? Will you add it to your library?